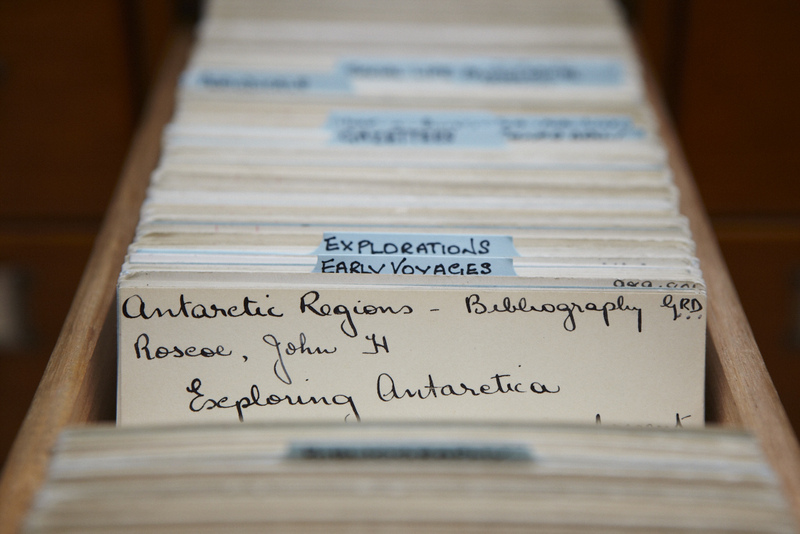 I time-traveled to magnetician Eric Webb’s Australasian Antarctic Expedition January 4, 1911 journal on microfiche. 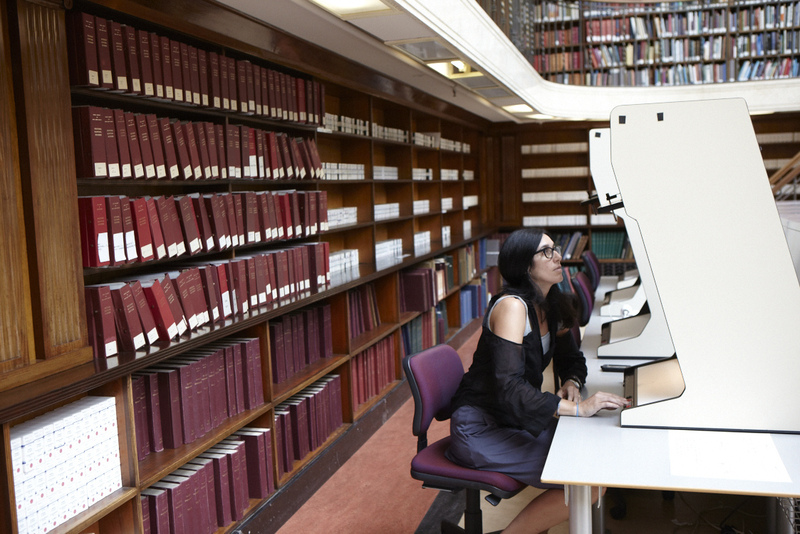 What an archaic cool machine that we can still use to look at documents from history. 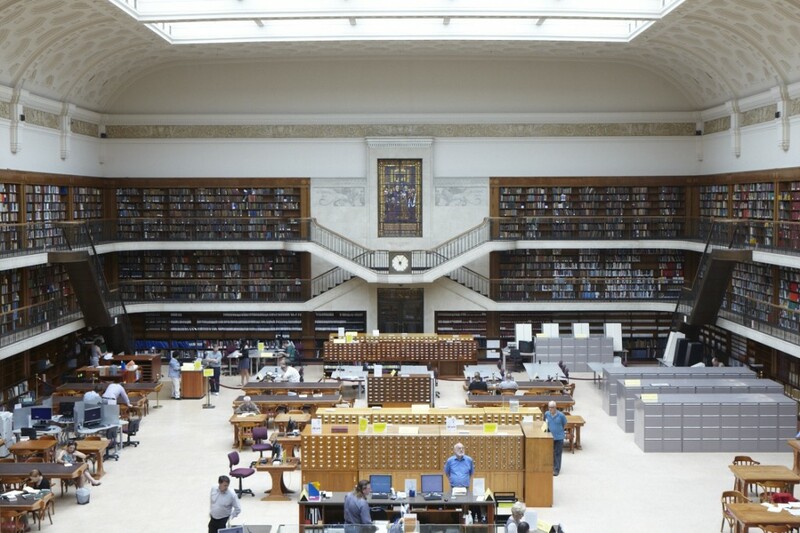 As Webb’s handwriting with distinctive and sprawling ‘y’ and ‘ing’ word endings scrolled across the white screen I felt I was bringing Eric back to life again from this roll of photography film of his journal stored in this gorgeous library. Webb was 22 when he wrote with precision and enthusiasm about trekking across Antarctica, observing magnetic fluctuations near the South Magnetic Pole and anticipating his next meal. 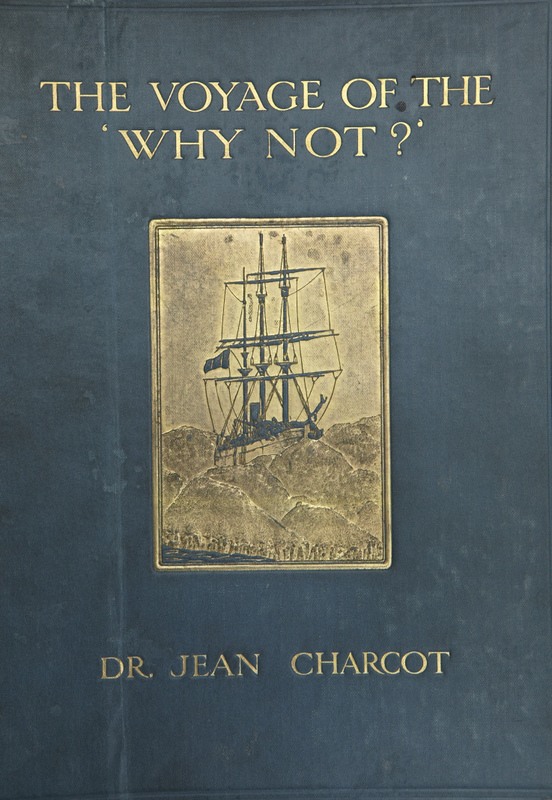 It was an equal treat to request and view at the translation, The Voyage of the Why Not in the Antarctic: the Journal of the 2nd French South Polar Expedition, 1911, London, Hodder & Stoughton. Prefatory note by Armitage, Albert B. It arrived in beautiful archival box. 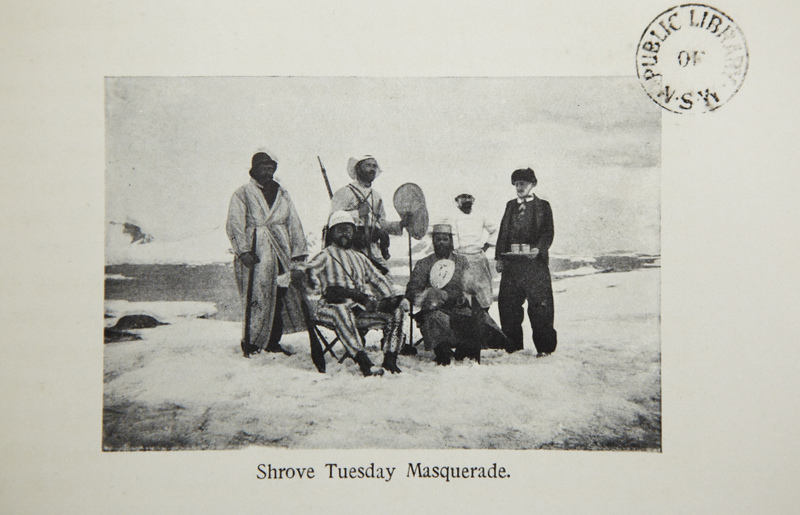 Inside were these images of the French explorers, scientists and sailors doing masquerade and having a parade. In hard times people still have rituals and celebrations, or maybe even more so to break monotony and lift spirits. I can’t be sure but I kept seeing these images of the French living it up with champagne in Antarctica at the turn of the century and wondered if it made life less arduous by maintaining this apparent lightness. I have also read of the French explorers serious contribution to mapping and science so clearly it wasn’t all play. They charted 1250 miles of coast, studied and recorded the Adélie penguin population (records proving valuable to document the major drop in their population, attributed to climate change) and brought back 75 crates of scientific samples for research in 1908. 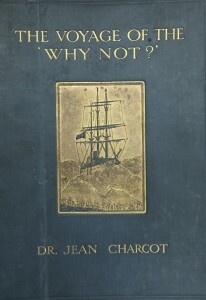 Jean-Baptiste Charcot led two notable French Antarctic expeditions. He was a doctor who sold his famous neurologist father’s Fragonard painting and spent his inheritance to buy a ship and go to the Antarctic. He also was a hell-raiser and had been jailed for practical jokes in his youth. Charcot’s accomplishments are impressive. Sir Douglas Mawson’s too, and those of his Expedition, but Mawson seemed much more serious always, apart from the partially funny telegram he sent his fiancée when he survived in 1913 what is considered the most remarkable story of lone survival. But that’s for another time. “‘Movement always does me a great deal of good,’ Charcot would say. ‘It is definitely the treatment for me… it is a great thing to learn and to enjoy oneself at the same time’”. Charcot of the Antarctic, Author Marthe Oulié. John Murry (1938) Chapter IV, p 21. 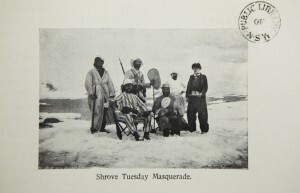 Next I requested, fairly randomly, to see the Dovers Family archive (MLMSS 3812) dated 22 June 1912, a collection of letters and telegrams with general reference to Antarctica, not knowing what I’d discover within. What do you think Wendy about this feast? Next were letters documenting parental interference for those trying to go to the Antarctic. Frank Hurley, of whose work and courage I am an unabashed fan, wrote this letter to Douglas Mawson in 1911, imploring him to take him to Antarctica. The rapid-fire series of letters available at Mitchell Library is fantastic (MLMSS 171 / vol. 14). -Mawson writes, ‘I have grave doubts about your health and strength being sufficiently strong for the arduous work of the Antarctic’ to Hurley on Oct 12, 1911 and requests him to get a full medical examination. 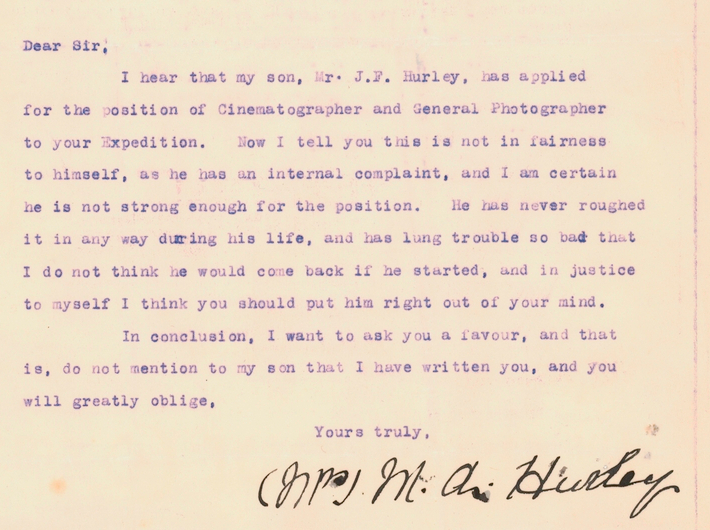 -On Oct 16, 1911, The Gaumont Co. “Kodak Salon” writes to Mawson saying that Hurley will have received two medical certificates testifying to Hurley’s good health and confirms that Hurley is ‘the right man’ for the expedition. The rest is history. Hurley died at age 76 in 1962 and was official photographer for Australia during two world wars, not to mention surviving the Mawson Australasian Antarctic Expedition of 1911-1914 and the Shackleton British Antarctic Expedition of 1914-1916) and making incredible photos, amongst other feats. 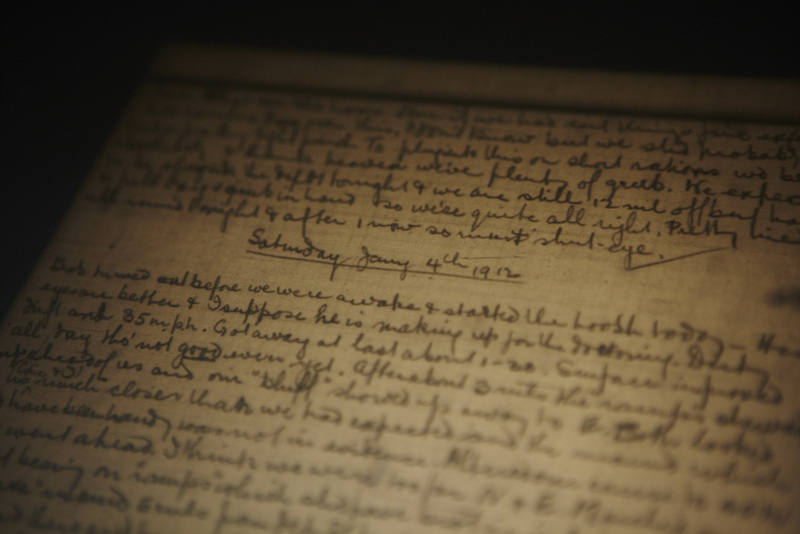 When I read Hurley’s unpublished journal in the Scott Polar Research Institute archive last year, I also got the feeling he had incredible tenacity and was a leader and morale booster on Elephant Island and in that phenomenal story of survival and rescue of the Endurance crew. Hurley reportedly also made a mean penguin egg omelette. For more on penguin and other historic and contemporary Antarctic food-inspired stories, please check out our upcoming book, The Antarctic Book of Cooking and Cleaning. Sandy, the photographer for our project photographed Hurley’s daughters in Australia, Adelie and her identical twin Antoinette. Sandy said when he met these former beauty queens and one a successful photojournalist (Adelie) in their 80s, they said they were very proud of their father. Frank Hurley is something of a war, exploration and photography hero in Australia. But apparently he wasn’t a ‘helicopter parent’ like his mom. One question Wendy and I have asked ourselves while working on our book is why in the first place did we want to go to the Antarctic? Wendy observed the surprise or unexpected outcome that cooking, a traditional female role (at least at the domestic level), could be a liberating, expansive and adventuresome job, particularly in remote locations. For me, Antarctica was magnetic. The Antarctic had been in the news because a Canadian company, Marine Expeditions, was taking groups there. A roommate from McGill suggested to me or me to her that we should get jobs there. I went for it and in a round about way got there. My mom didn’t fight my wish to go the the Antarctic, in fact she signed up at age 59 (same age as John Franklin when he led the Arctic expedition attempting to chart the Northwest Passage) for a pilot of a pilot civilian eco-expedition I arranged to Henryk Arctowski Polish Research Station with the VIEW Foundation in 1995. This was the precursor to the more substantial environmental expedition with the Russian Antarctic Expedition on which our book is based. I sent my mom climbing up a big hill looking over Admiralty Bay and then to haul garbage. I was feeling a bit guilty but she and the other seniors in the group survived to enthusiastically tell about it. 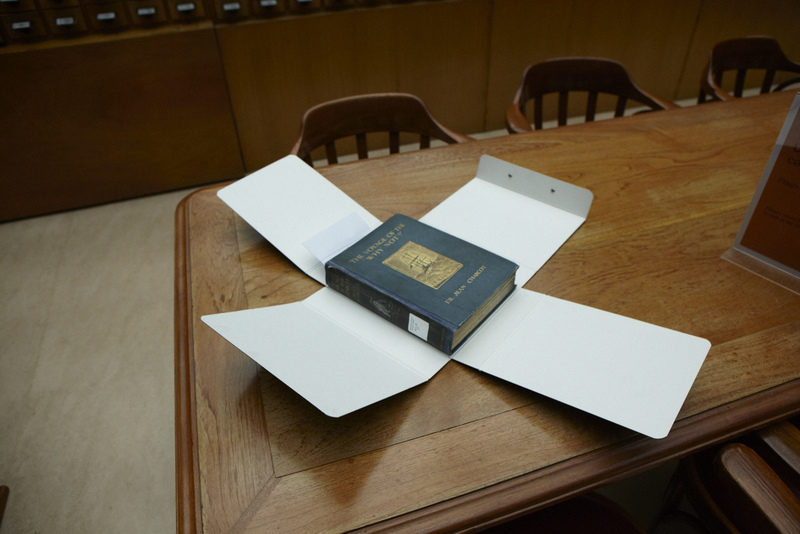 The problems with archives are it is so hard to leave. What other gem or kernel could I have missed? There is much to learn from the Heroic era, and maybe even more this post-Heroic era. We’ll get to that. I was invigorated and satiated with what I discovered. I had to trust the words of wisdom of Tasmanian historian and author Alison Alexander who I had the pleasure to met at the Scott Polar Archive (she was researching Lady Franklin, the widow of explorer John Franklin who perished in the Arctic). 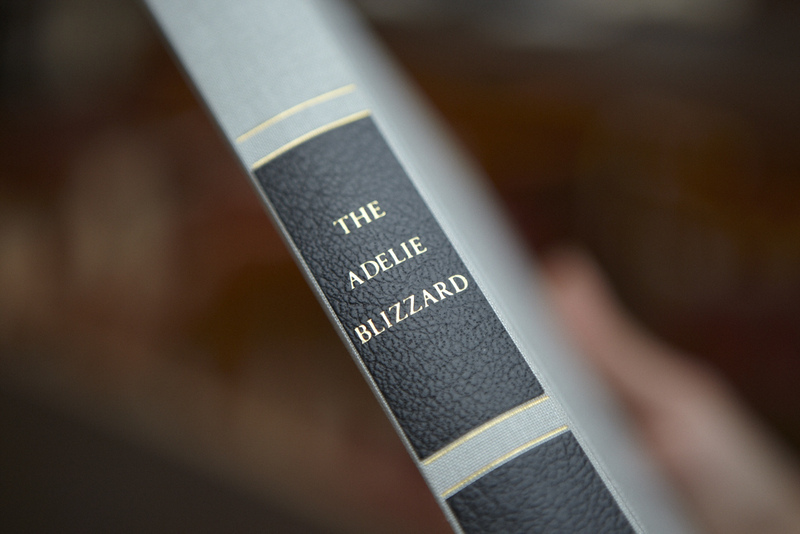 Alison told me to have faith that the book you need just at that moment will find you. Thanks to Kevin Leamon and staff at the State Library, Mitchell Library, Sir William Dixson Research Library and Dixson Galleries.